Portland, OR, July 9, 2015 - ESCO® Corporation, a global leader in mining, oil and gas, construction and industrial equipment, announced today the commercial availability of the SecureLift Lifting System. This unique industry offering enhances ESCO's state-of-the-art mining Nemisys® Lip System, creating an integrated lifting system for points and adapters. With the new SecureLift product, mining crews have a purpose-built solution for handling worn Nemisys parts, lowering touch time and reducing risk from unplanned movement. "For more than 100 years, ESCO has been known for product innovation. Our teams are constantly driving to improve products for our customers. 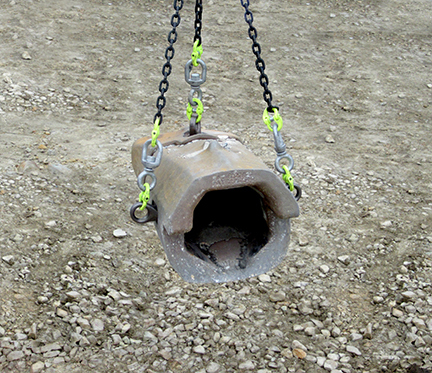 With the SecureLift Lifting System, ESCO not only delivers an innovative new product, but one focused on the importance of improving customer safety," said Mark Momola, vice president of mining products at ESCO. 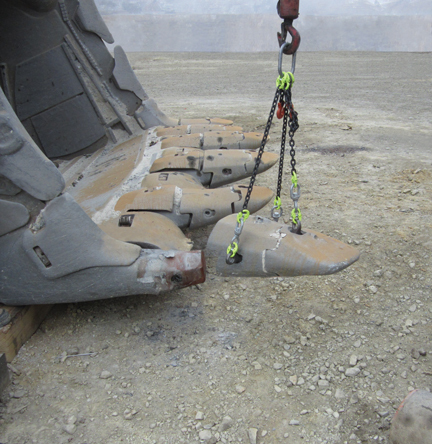 The SecureLift Lifting System has been field trialed globally at some of the world's most demanding and productive mines. "We chose to implement extensive field trials for SecureLift in Australia, where mines have very stringent safety regulations," said Momola. "Miners were excited to have a product that not only improved efficiency but also reduced risk. Specifically, mine personnel are citing the product's ease of use and improvement over nylon slings." SecureLift comes in a variety of sizes and covers the complete range of Nemisys points and adapters. A video and detailed product specifications of the SecureLift Lifting System can be found on ESCO's product web site at www.escocorp.com/securelift.